Lipgloss & Lashes: All Aboard The Good Ship Benefit! All Aboard The Good Ship Benefit! Ahoy Beauties! 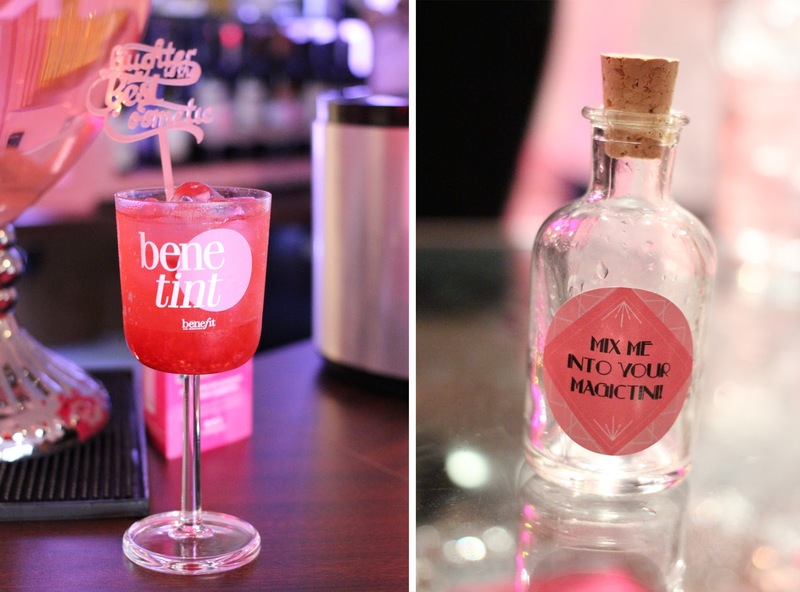 This weekend the Good Ship Benefit opened it's doors to the public, and on Thursday night I was lucky enough to head down for it's launch...needless to say, the night was filled with cocktails, makeup and all things pink! 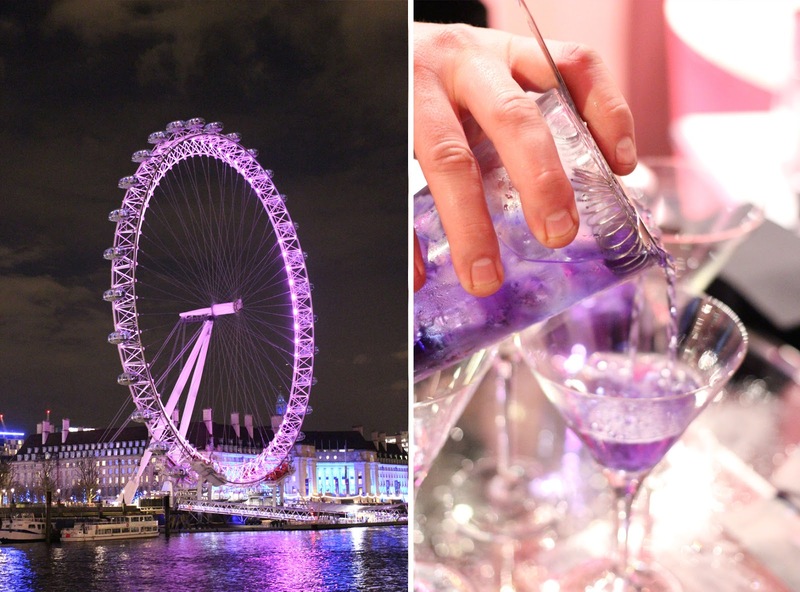 For the next 5 months the Good Ship Benefit will be docked on Victoria Embankment with a stunning view of some of London's most iconic landmarks, and will be home to a host of all things Benefit. The ship allows you to live the Benefit dream in a variety of rooms which celebrate some of their most iconic products and services. As you walk in, you enter the Pinkton Parlour. Decorated in true 1950s style, everything is wonderfully retro and pink, with a bar spanning the width of the room, it's the perfect place to pick up a Benetint cocktail (which were delicious), sit back and watch the world go by. Walking through from the Pinkton Parlour, you enter the Brow Lounge. This vintage pink room is located right at the front of the ship, with the best views of the river and London Eye, making this the perfect place to relax with friends and enjoy Afternoon Tea. Benefit's brow experts will also be on hand to ensure you leave with your brows in tip top condition, what more could you want? 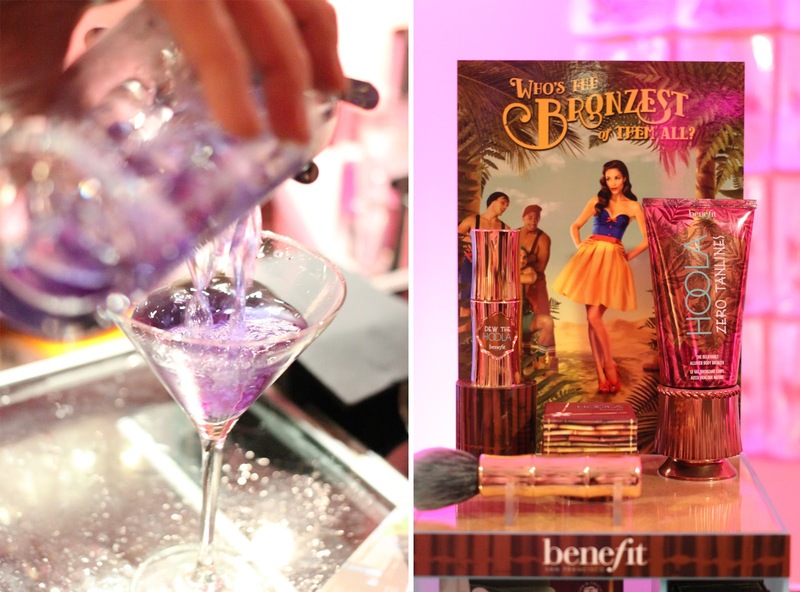 Benefit could hardly open a ship like this without at least a nod to their ultra-famous Hoola bronzer. Bringing the beach to the boat, the Hoola Decks are Hawaii-inspired decks overlooking the Thames and of course the iconic London Eye. The decks also come complete with tiki huts and cabanas (not to mention some beautiful cabana boys! ), so you can sit back, soak up the sun and sip on one of their giant sharing cocktails - and yes, the cocktails come served in giant Hoolas! Throughout the summer, Benefit will also be hosting exclusive fitness classes out on the Hoola decks, which I personally can't wait for! If you find yourself feeling a little peckish whilst aboard the Good Ship Benefit, then look no further than the Lashitude Restaurant, located on the upper deck. In true They're Real style, the Lashitude restaurant is packed with glitz and glamour. Providing a la carte dining for lunch and dinner, you can feast on an array of San Francisco themed delights and finish off with a cocktail or two in the bar. Not forgetting the Porefessional, the Good Ship Benefit also houses a top secret Porefessional Vault. I won't say too much about this room as I wouldn't want to ruin the surprise, but if you're a fan of all things Porefessional, then this room will be a dream come true. I had the best time dancing the night away with my fellow blogging girls aboard the Good Ship Benefit, so good that I've already planned my next trip back! As well as heading down for Afternoon Tea, I'll also be celebrating my birthday in July aboard the Good Ship Benefit and I can't wait! The ship is now open to the general public, but if you're interested in any of the brunch, restaurant services or afternoon tea, Benefit do recommend booking on their site here. I'm so envious, it looks like you had an amazing time! I recently picked up several Benefit goodies (including the Porefessional), so I cannot wait to try them now. This literally sounds like the best experience ever! What a fun idea! OOh i'm popping down next week and I can't wait. Gorgeous photos, what camera do you use? Thank you for taking the time to comment, I would love to hear from you! However, if you are looking for a more instant answer please feel free to tweet me your questions @RDerbyshire93. All content is © Lipgloss & Lashes unless otherwise stated. Blog design by Lipgloss & Lashes. Powered by Blogger.